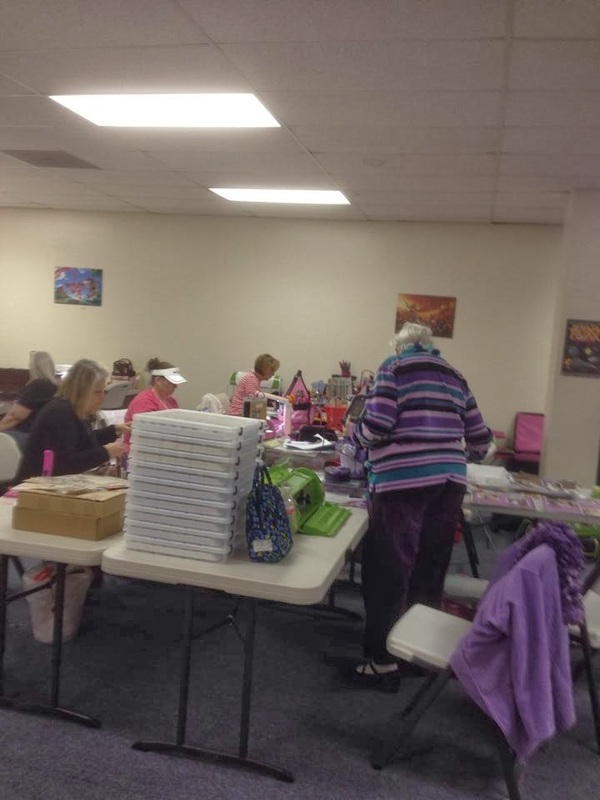 Dallas Crafters Marathon: DCM Jan 2014 Wrap Up! Thanks to everyone for a fabulous weekend! We had a blast crafting with everyone and meeting new crafters! Next DCM is Feb 28-March 2nd! Bring your stuff to work on, your seat cushion, get ready to chat with other crafters and GET YOUR CRAFT ON! Here is a pic that Cindy Murray took from the crop this weekend and one that Heather took. We have quilters, knitters, jewelry makers, costume designers and paper crafters! If you wish to come for one day the table rental is $15.00, the whole weekend is $25.00 for table rental. The tables are 6', we have two rooms, bathrooms, microwave, coffee pot, cricut expression 2, cuttlebug, kitchen, couch, wifi and free parking. There are many restaurants around the area as well! We have a list of the local retreats, scrapbook stores, stamp stores and quilting shops that have provided us with business cards or post cards. Monica at the Stamp Asylum in Plano, Texas provided DCM with five tickets to the Plano Stamp Show this last weekend. We passed out the tickets to 5 of our Friday night attendees that wanted to go to the event! Thanks Monica! Who are we? We are a group of crafty people that like to craft together and share ideas, it's that simple. We are not Direct Sales Consultants who have classes at our Meetup to promote sales. We really just simply want to craft! Who are the Organizers /Volunteers? Donna P., Heather H. and Val J. Donna and Heather met in 2007 at the scrapbook event in Arlington by chance. Val started attending DCM and we three immediately hit it off as great friends! Why did we start this Meetup? 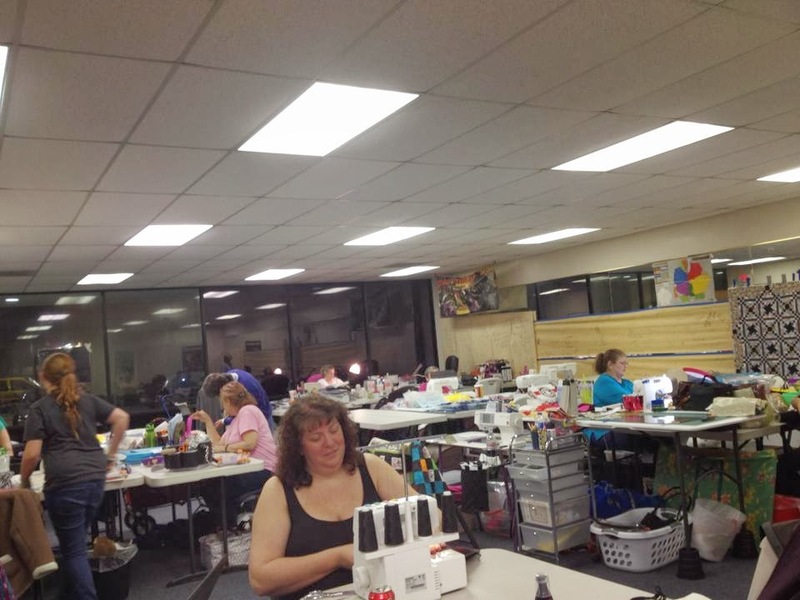 There are very few crafty stores in our area that can hold a group of crafters and still have room for our supplies AND not be crowded. We simply wanted to craft with other like-minded people, NOT be cramped and to crop more than a day. Why the location? Put simply, it is available to us and we feel lucky! This is a large facility, 4000 sq. ft.
Why ask for money to crop? The money for this Meetup goes to the lessor to maintain the facility, it is NOT about profit for us. We each pay the $25.00 table fee. How long does the crop last? This event lasts from Friday (6pm to Midnight) Saturday (10 am to Midnight) to Sunday (10am to 3pm). You may leave your projects overnight if you wish.